South African Paralympic gold medalist and Olympic athlete Oscar Pistorius, 26, has been charged with the murder of girlfriend Reeva Steenkamp, a model who, according to the AP, often spoke publicly against the abuse of women. Steenkamp was shot four times inside Pistorius' home in a gated community in Pretoria, South Africa. She died on the scene. Pistorius, who lost both of his legs due to a congenital birth defect, became the first double amputee to ever compete in the Olympics during the 2012 Summer Games in London. He then went on to multiple gold medals and break record times at the Paralympics, earning him the nickname 'Blade Runner,' thanks in part to the shape of his prosthetics. 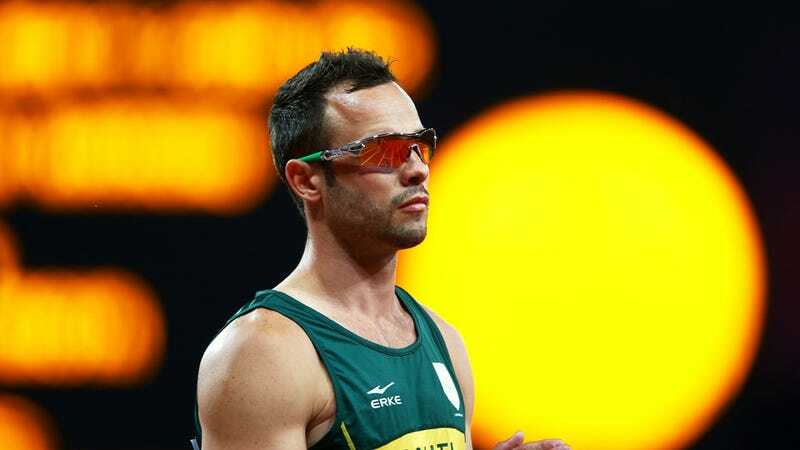 Pistorius is currently in police custody and will undergo a hearing on Friday, February 15th. There were initial reports that Pistorius shot Steenkamp when he mistook her for an intruder, but those claims are unfounded and did not come from the police. According to authorities, there are witnesses to the shooting and this is not the first time that they have been called to Pistorius' home. "Yes there are witnesses and there have also been interviews this morning," Beukes told reporters outside the gated complex where Pistorius lived. "We are talking about neighbors and people that heard things that happened earlier in the evening and when the shooting took place."